For the first fifteen years of its existence, the Certified Aging In Place (CAPS) program had a CAPS I and a CAPS II class, but it had no specific CAPS III class. The Business Mangement served as the required third class for the designation, but not everyone needed to take it. Thus, some people (those exempted from the third class for various reasons such as having taken it for another NAHB designation, having a recent MBA, or having a professional designation from another body that incorporated similar principles) only ever took two of the required three classes. That all changed a year ago. As of October 25, 2017, the CAPS III class was officially offered as the final required class. Now, everyone takes all three classes regardless of other coursework completed, designations held, educational attainment, or professional expertise. This means that everyone with the CAPS credentials has completed the same amount of coursework. Throughout much of its early history, the CAPS program needed, eagerly anticipated it being available, and talked about having the third class created and ready. It took until a year ago for this to happen, however. It is now available – and has been for these past twelve months – to complete the Certified Aging In Place Specialist designation. Now, this CAPS III class – “Details & Solutions For Livable Homes & Aging In Place” – becomes the final requirement for earning the Certified Aging In Place Specialist designation, along with the CAPS I (“Marketing & Communicating With The Aging In Place Client“) and CAPS II (“Design Concepts For Livable Homes & Aging In Place“) courses. This final class of the three needed for the certification is one of application for the material presented in the CAPS I and CAPS II classes and is designed to be taken after completion of those first two courses rather than as a standalone. There is new material presented as well as some reinforcement of material previously presented. It gives attendees an opportunity to see some real-world application of some of the concepts discussed. The CAPS III class (after a year, we can probably stop referring to it as the “new CAPS III class” since it has celebrated its first anniversary and there was not an older CAPS III class that it was replacing to be so designated as the “new” class) add a very practical laboratory to the training. 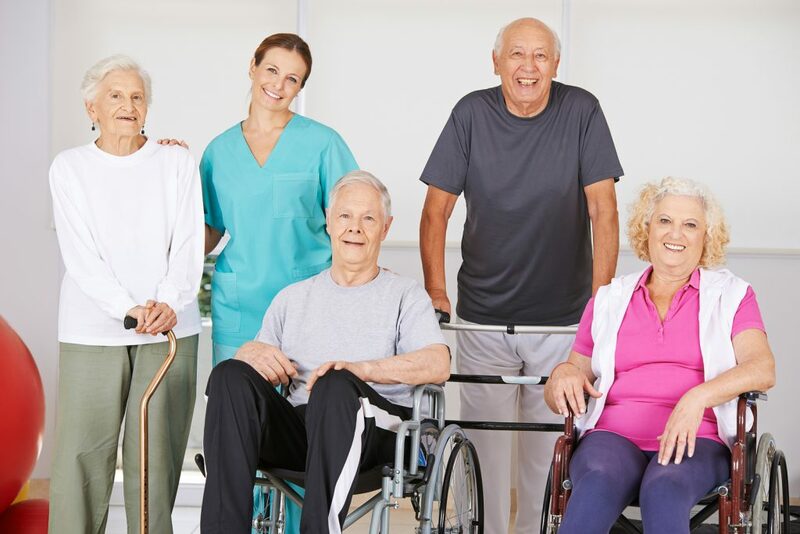 The CAPS I class offers some historical perspective to aging in place, provides some direction for marketing our businesses and establishing relationships with other professionals, and reinforces effective communication skills. The CAPS II class discusses many concepts for connecting with our clients effectively and maintaining our businesses, and it has an extensive presentation of various design strategies. That brings us to the CAPS III course which begins with a case study of a married couple who have lived in the same home for decades but now face a diagnosis of Parkinson’s disease for the wife, while her husband is experiencing hearing loss and arthritis. In addition, at least one of the adult children and spouse is going to be moving in with them to assist in caregiving. We look at their immediate needs, how to address them, and budgetary considerations. There are three other case studies in the course, including one involving a young boy with autism, another for a teenager involved in a traumatic auto accident that requires an immediate response for a mobility and general access solution, and a bathroom utilization issue for a mid-seventies aged couple – she with MS and he with arthritis. This third class is not the only class with exercises to evaluate and complete. The CAPS II class has several design exercises, but the CAPS III class approaches them from a more comprehensive viewpoint of a scenario and budgets. Occupational therapists, physical therapists other medical and healthcare professionals such as physicians and nurses, gerontologists, social workers, real estate agents, insurance professionals, financial planners, lenders, contractors, remodelers, renovation and remediation experts, trade contractors (especially carpenters, electricians, plumbers, flooring contractors, and lighting professionals), designers (interior designers, kitchen and bath designers, and building designers), architects, non-profit organizations, governmental agencies, senior services, advocacy groups for disabilities and diseases, veterans organizations, assistive technology professionals, durable medical equipment (especially ramps, lifts, and elevators), suppliers and manufacturers (bath and plumbing fixtures, flooring, lighting products, cabinetry, hardware, windows, and doors), and dozens of others who have an interest in serving the needs of those aging in place – regardless of their age, ability, income, or other conditions – will find the CAPS designation extremely beneficial. The CAPS III course makes the training even more relevant. Happy birthday, CAPS III. Anyone already holding the CAPS designation that desires an additional course to bolster their credentials or update their skills – especially if the exemption was utilized previously – should consider taking the new class as continuing education.